Having put up with a "shop bought" PC for many years, I decided it was time to build my own. 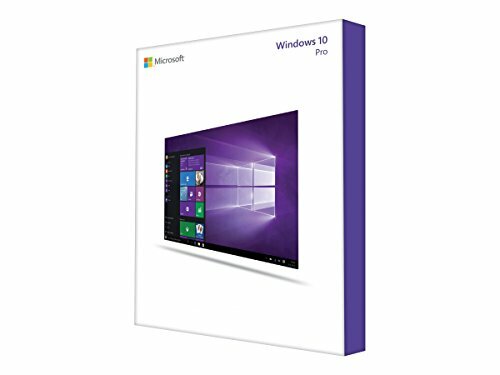 I set my budget at around £2K, to include a new monitor, with the intention of using the machine for video editing and a bit of gaming. The result, the White Lightning Jr! As someone who's completely new to building PCs, this was another difficult choice. The mITX / Ryzen combo forced my hand a little, and I opted for the B450 chipset over the X470 simply because I couldn't really see any benefit from the X470. I'm not planning on overclocking and the ASUS STRIXK B450-I gave me everything I needed. The two M2 SSD slots sold the ASUS board to me and was a great choice. I do a bit of virtualisation with work, so running multiple Windows Server VMs in VirtualBox is something I do now and again. Constrained by the two DDR slots of the ASUS mITX board, I went the whole hog and bought 2 x 16GB sticks. It just didn't seem worth going for 16GB and regretting it later. I went with 3000 RAM as I'm not overclocking, and the additional cost over slower RAM was negligible. Looking back, I would have considered LED sticks, knowing now how awesome it all looks, but perhaps this would have been overkill in such a small case. I started the specification with a cheap Crucial 1TB SSD and a 2TB HDD. I've had 128GB and 256GB SSDs in the past, and felt it wasn't worthwhile going for anything smaller than 1TB. On advice from the forums, I upgraded my specification to a Samsung 970 EVO, just to get that extra speed kick! I lucked out as I picked one up in the Amazon Black Friday sale for just £170. This sits beautifully within the M2 heatsink enclosure on the ASUS motherboard and I'm chuffed to bits with the size and performance. I made a conscious decision at this point NOT to include an HDD in the build. I have around 4TB of SAN storage kicking about, and I've set up intelligent sync using Resilio to only keep video files and games on my local SSD that I really need. This keeps the noise and weight down, as well as the power usage. If I end up missing local HDD storage, I can fit a 2TB HD in the build at a later date. UPDATE: I've added a 1TB Crucial P1 NVMe SSD into the underside slot of the MB. Not the fastest NVMe drive out there, but a cheap way to double my storage. Oddly, this is the component I probably had the most trouble with choosing and I think I've probably made a mistake! Being an mITX build, I automatically limited my search by SFX form factor PSUs. Again with great advice from the forums, I chose an SFX-L form factor PSU in order to keep temps and noise to a minimum. Because I'm not overclocking and not including an HDD in the build, I've opted for a 500W Silverstone modular PSU. As it is, I probably needn't have bothered about the form factor. The H200i has a dedicated "home" for the PSU and I could have fitted a standard ATX PSU in there, no problem. As it is, the little SFX-L PSU is sitting in there nicely, but the short cables that came with it caused some real cable management nightmares. If I could go back, I'd probably go for a 650W ATX PSU and be done with it! UPDATE: I replaced the teeny tiny stock PSU cables with some lovely Shakmods all white braided cables. Loving the clean black and white look. Another component requiring a great amount of deliberation! I started the build spec with a GTX1060 mini, as I really couldn't justify anything meatier. 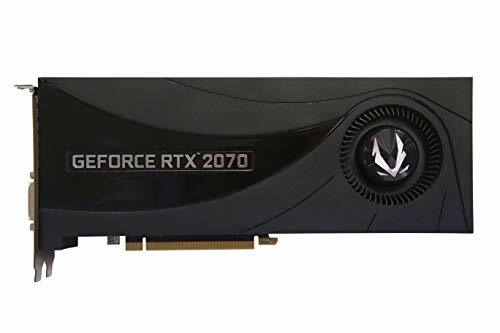 Then I started to look into the new RTX cards and saw that for a couple of hundred quid extra, I could go from 3 year old bottom of the line to bleeding edge! Here is where I made my first big mistake, though, and didn't check the slot width of the card. So, my shiny new 3 slot Palit Jetstream RTX2070 had to be returned and replaced by a 2 slot Zotac Blower RTX2070. It is awesome, though, fits beautifully and consumes less power than the Palit. The "Blower" variant works well in the small form factor case, too, expelling hot air out the slots, instead of into the case. The only change I would make here, perhaps, is to go for a card with a back plate (MSI Armour, perhaps) as the bare arse of the card doesn't look so pretty in the case. I'd have liked some LEDs here too, but the end result is clean, compact and plenty fast. UPDATE: I've fitted an awesome, custom GPU backplate sourced from Ryan and the guys at Octix (https://octix.co.uk/). Looks great! So, anyone on the forums would see that I had plenty of problems with my first build. Going for the mITX form factor was a massive challenge, but I'm so glad I stuck with it. My first problem, however, was that I fitted the Wraith cooler back to front, so the fan cable couldn't reach the motherboard power socket. On removing the cooler, I ripped the CPU out of the board, as it had stuck itself tight to the cooler with thermal paste! Absolute panic ensued, and I was convinced I'd FOOBAR'd the CPU and / or motherboard. All is well, but my heart stopped for a moment when it happened! If I went back and started the build again, I would spend far more time planning the build instead of getting stuck into assembly. Forward thinking, in terms of where things go, what cables reach and at what time the motherboard needs to be screwed into the case, seem to be essential to a successful mITX build. All I can say is, thank goodness for the pcpartpicker forums and all who frequent it - thank you all who helped me with my various queries and concerns! It took me a long while to decide between Intel and AMD and I'm really pleased with my choice of the Ryzen 2700X. Brilliant performance for the money and I think it earns it fifth star with the inclusion of the vary capable, LED programmable, Wraith Prism cooler. I've not messed around at all with OCing the chip as the Boost capability keeps the CPU busy when extra oomph is required. I really enjoyed working with this MB and it delivered absolutely everything I needed for the build. Standout features are two NVMe M.2 slots and decent wi-fi / Bluetooth with a snazzy external antenna included in the box. I was going to be a bit cheeky and dock one star for the GPU retaining clip which jammed and then broke off as I was removing my graphics card, but that may have been my heavy handedness. Blindingly fast and efficient NVMe SSD and really only let down, if you could call it that, by it's relatively high price. It just works so well, though, and the Samsung Magician software is a nice little addition to monitor and tweak the drive. So the Crucial P1 clearly doesn't perform close to my Sammy 970, but at almost half the retail price, I can't complain. I keep my Steam games folder on this, now, which frees up the 970 for essential apps and profile / document storage. Outside of benchmarking, I don't think you can really fault the performance of this SSD, especially as a second storage device alongside a 970 Evo or Pro boot drive. Excellent entry level RTC 2070. I've gone with the "Blower" variant, given the relatively small amount of space in my mITX case (NZXT H200i). Plenty of bang for your buck and I'm using Ultra settings for almost everything on a 1080 Ultrawide display. My only reservation is that it's quite an ugly card and the bare PCB looks a bit shonky on display. I've ordered a custom backplate, but it would have been nice to have a backplate as standard. I absolutely love this case - it looks absolutely stunning and is about as easy to build in as mITX can be. Cable management is a dream, the 2 provided case fans work great, it runs quiet and is so easy to hook up. All in all, it's an amazing case. I've docked a star because of the god-awful CAM software that's required to manage the supplied fan / LED controller. If you're looking at the H200i, I'd advise careful consideration of the H200 without the "Smart Device" and LEDs, and just hook up your own controller or use MB headers. The Silvertone feels weighty and is extremely well made, quiet and efficient. I needlessly went with the SFX-L form factor, my mITX H200i case can hold a full size PSU, but that's my doing, not the PSU. As it is, it's very compact yet the fan is very, very quiet. The inclusion of ridiculously short cables is the only thing that lets it down, requiring additional investment in longer / extension cables, on top of an already quite pricey PSU. Really nice monitor at a very good price. Supports FreeSync which, when used with an RTX or similarly supported card, now works with Nvidia's Gsync technology on the latest drivers. I love the additional work-space provided by the ultra-wide resolution. IPS display is clear, bright and very crisp indeed. Originally, I'd picked up the 25" version in the Black Friday sale but that felt incredibly small and was promptly returned. The 29" diagonal gives you a height equivalent of a 23" 16:9 display, which is what I was replacing. Docked one star for the "HDR" implementation, which is terrible. Sweet build. I just built my first one in a long time as well and noticed that we have some similar components. Nice work, dude. I think everyone on here has had a FUBAR moment. Nice build! I just ordered similar components and actually ended up ordering the MSI rtx 2070 Armor but I'm a little worried about the width / thickness of the card. Since you mention the card in your description do you know if it will actually fit? I was also going to go with the Armour but ended up with the Zotac as it was a little cheaper and a little thinner. Basically, you need to look at the "slot" width in the GPU specification. My case supports a "2 slot" PCI card - the GPU that I originally went for was a "2.7 slot", therefore too big. The Zotac that I went with is explicitly specified as a "2 slot" card. Thanks. I just returned the Armor. It did actually fit but just barely. I've ordered the Gigabyte Windforce instead which I just 2 slots wide and supposedly even quieter than the Armor. Good plan! My thinking, too, was that some extra space between the card and the case would benefit airflow and cooling in general. The Zotac Blower expels fan exhaust out the slot, as opposed to inside the case, so it runs really cool and quiet. I've been running Forza 4 in Ultra on an ultra-widescreen display and the whole setup is whisper quiet. I didn't do the build for games, but am getting suckered into buying some just to test the power of the GPU! Lovely build and a great looking machine! Nice write up too, given me a bit to think about when I plan my next build!! Awesome build! The 500W PSU is enough for this? No random shutdowns or anything? I'm building a Node 202 324W system with a 500W and that's cutting it close and makes me worry. No random shutdowns (yet) but I haven't stress tested this thing at all. If I could go back, and I may still do this, I'd go 650W in the build. We'll see how it goes! How is the FreeSync implementation? All the talk about poor performance with the majority of FreeSync monitors Nvidia gave us makes me wonder. You know what, I really don't notice any difference with the games I play. I mainly play Forza 4, and with the frame-rate open and v-sync turned off, it seems to run really smoothly - no tearing that I can see. That's with G-Sync compatibility turned on, of course. I wouldn't buy the monitor for FreeSync / G-Sync, but I'm happy that nVidia started to support it, though I can't say for sure it's changed my life in any way! Nice to hear. I am personally very sensitive to frame-times, frame rates, vertical-synchronization, and latency. 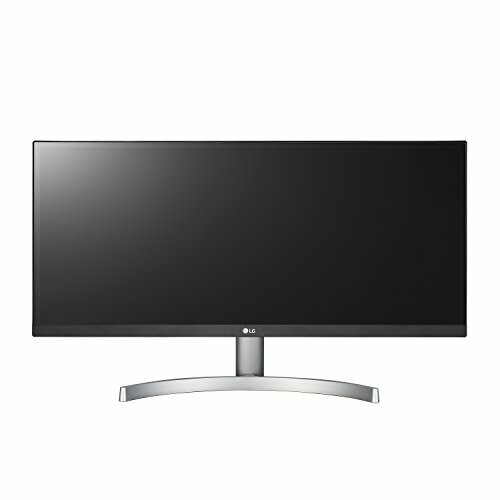 I always look for a monitor that has FreeSync or G-Sync. But tons of ppl wouldn't be able to tell the difference even if their lives depended on it. Which can actually be a blessing since gaming monitors tend to be more expensive. Does your pci e slot for the gpu run in x8 mode instead of x16 when you have 2 m.2 drives? It sure does. Not a problem with the RTX 2070. I'm not sure if that would bottleneck an RTX 2080Ti? So If i wanted to do dual m.2 and use a 1660ti it would work? As far as I can tell, your GPU has much lower bandwidth than my RTX 2070, so yeah, you'll have no worries from using that GPU with a second SSD on that motherboard. Sorry to bother you again but how many fan headers are there on the board? No problem at all! There is a single CPU fan header (CPU_FAN), a single chassis fan header (CHA_FAN) and a single AOI pump header (AIO_PUMP). Hope that helps! I don't really game - the ultrawide is really for productivity stuff, video editing etc.